Wingspan 20 to 30 mm. 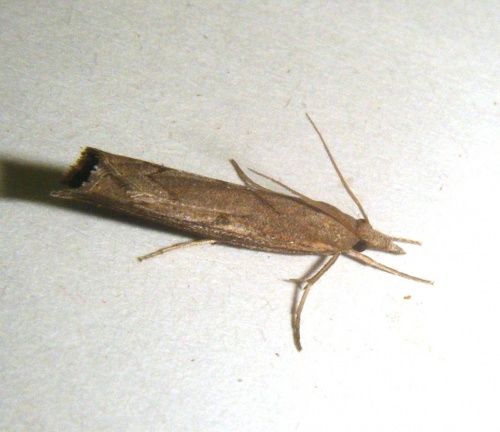 It flies during July and August and is attracted to light. The larvae feed in a silken tube amongst grasses such as sheep's fescue (Festuca ovina). Distributed mainly in the southern counties, this is a rather local species. 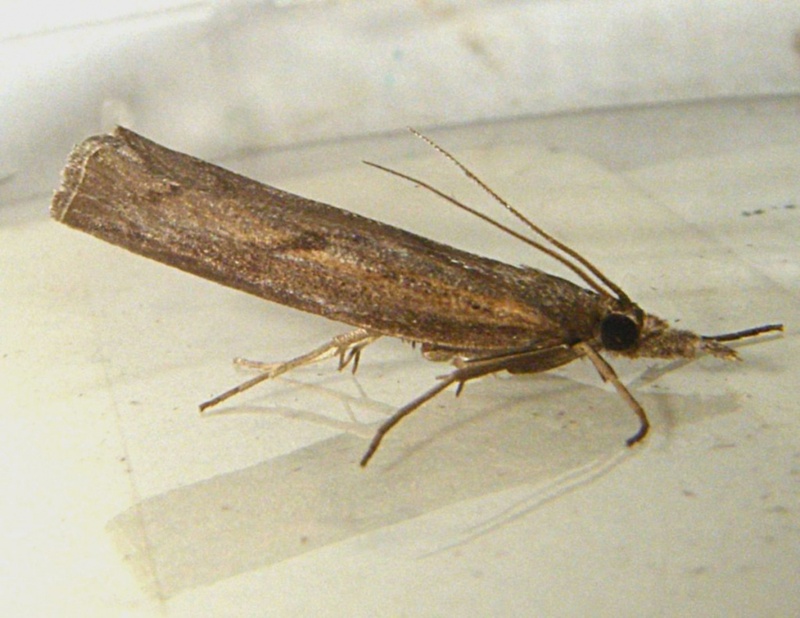 In the Butterfly Conservation's Microlepidoptera Report 2011 this species was classified as Nationally Scarce B. Rare in VC55 (Leicestershire and Rutland) – the Sapcote record of 25th July 2018 was the first for our area.